Spanning almost thirty years and settings that range from big cities to small towns and farmsteads of rural Canada, this magnificent collection brings together twenty-eight stories by a writer of unparalleled wit, generosity, and emotional power. 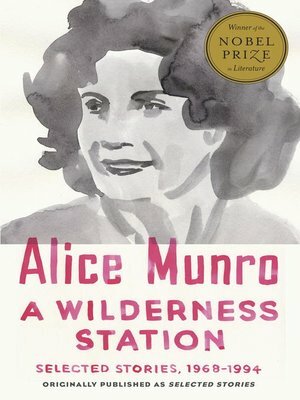 In A Wilderness Station: Selected Stories, 1968--1994, Alice Munro makes lives that seem small unfold until they are revealed to be as spacious as prairies and locates the moments of love and betrayal, desire and forgiveness, that change those lives forever. A traveling salesman during the Depression takes his children with him on an impromptu visit to a former girlfriend. A poor girl steels herself to marry a rich fiancé she can't quite manage to love. An abandoned woman tries to choose between the opposing pleasures of seduction and solitude. To read these stories is to succumb to the spell of a true narrative sorcerer, a writer who enchants her readers utterly even as she restores them to their truest selves.